Chelsea return to London from their journey to Belarus to welcome Everton to Stamford Bridge. Chelsea are fresh off a hard-fought 1-0 victory over BATE Borisov that earned the Blues qualification to the knockout stages of the Europa League. 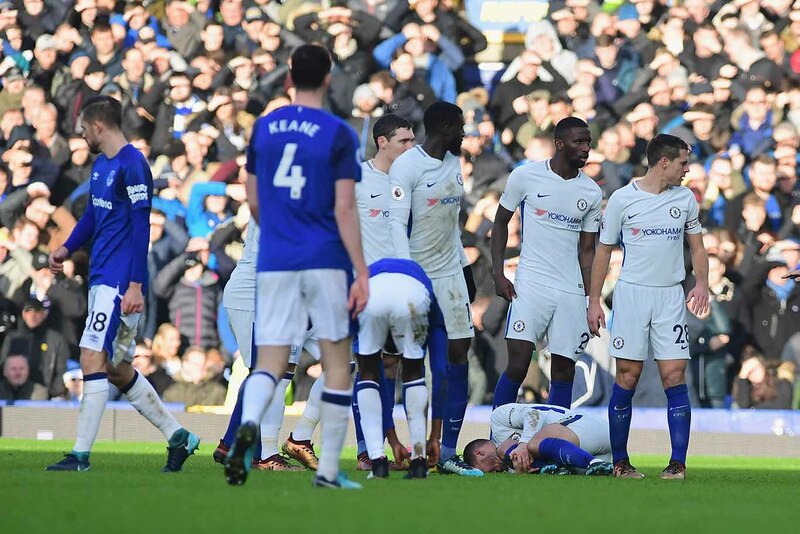 It’s been a bit of the journey for the squad, but the positive for Chelsea is that they were able to rest a number of players ahead of Sunday’s clash with Everton. Three of Chelsea’s regular back line didn’t travel to Belarus with only Cesar Azpilicueta making the trip as an unused substitute. Alvaro Morata joined the likes of Marcos Alonso, Antonio Rudiger, and David Luiz at Cobham on Thursday. Eden Hazard took the next step in his recovery from a back injury by completing 60 minutes against BATE and is in contention to start against Everton. Willian made his appearance as a substitute for Hazard and started on the bench for the first time in 11 matches in all competitions. Olivier Giroud will be hoping to push for a place on Sunday after scoring his first goal of the season, converting a cross from Emerson for the only goal. Ross Barkley will also be pushing Mateo Kovacic for the opportunity to face his former club. For Everton, there’s concern over the fitness of leading goal scorer Richarlison. Richarlison is nursing an ankle injury, and Marco Silva revealed that he might not make the trip to London. That would take a major piece out of Everton’s attack and force Marco Silva to find another solution at striker. But Gylfi Sigurdsson is fit and has scored and provided his share of goals and is always a threat from the number 10 position. But Everton will be forced into one change with Kurt Zouma being ineligible to face his parent club. Colombian defender Yerry Mina is likely to come in for Zouma in the centre of defence, though his time in English football has had mixed results. With another international break coming in a week, Chelsea will be trying to make sure their unbeaten record in all competitions stays intact with a win over an Everton team that is capable of giving anyone trouble.